Yesterday, I wrote about how cage diving with a Great White Shark in VR was the best thing I did at PAX Australia. A few days before that, LoadScreen editor Charlie detailed how terrifyingly awesome it was to brave the deathtrap that is outer space in Earthlight. Suffice it to say, VR blew our minds. Any excuse to use this image of me looking like a dingus playing Earthlight again. I should have it framed. But as much as this technology impresses me, I just don’t think it will be the new way we experience video games. At least, it won’t fit into the way we most commonly play our games, which is in our down time, following long days at work or on weekends, and just relaxing on the couch, much like we do in regards to movies and books. I mean, look at that above picture. Can you imagine arriving home, ready to just unwind after a stressful day, and throwing on a big headset and getting ready to waggle around? I sure can’t. Plus, the use of VR in an ordinary home will be cause for a few concerns. For example, it could be a huge safety hazard. So much awe, unaware of the present danger. See that guy standing behind him? He was one of the Playstation booth staff, and it was his job to make sure Charlie and I didn’t choke ourselves on the cables connected to our headsets. That’s right, these things could have strangled us as we plodded around losing our child-like minds. This level of supervision really hinders the technology’s ability to be used in the home as casually as current games are. Who has the time to monitor someone in VR in the evening? Of course, if the headsets were wireless then you have no danger of being asphyxiated right in the middle of a play session, but there are still other worries. The extra weight a battery would add would make prolonged use difficult, but there is still the problem of bumping into other objects/people. 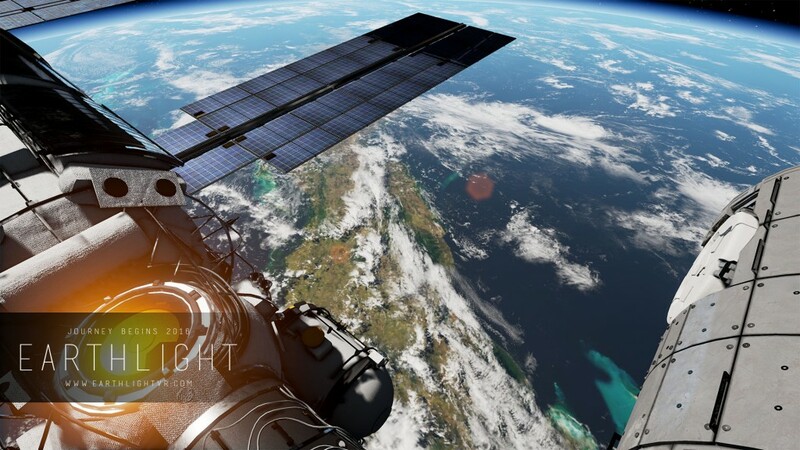 While I was hooked up to Earthlight and was reaching out with my hands to grip the International Space Station, the thought did occur to me that I might hit someone. I had no idea where I was spatially in the room I was in after the headset went on, for all I knew if I reached too far I’d sock Earthlight’s 3D modeler (who was assisting me) right in the gob! It’s not just people we need to worry about either, but just house hold objects. My PS4 is in the living room, which isn’t huge, and even if I cleared away as much stuff as possible, the lack of spacial awareness once in the simulation would really make it hard to not move further than I have safely cleared. I could walk right into my television! And even after all the physical injury concerns, prolonged use of VR might take some getting used to. I used both the HTC Vive with Earthlight and Playstation VR for ten minutes each, on separate days, and after both times, for a couple hours I had a feeling I can only describe as my eyes trying to catch up with my head. I had no real motion sickness concerns (maybe a little when floating off station in Earthlight), but my eyes felt like they were just a little out of sync with the rest of me. Not functionally, I could see perfectly fine, just physically off. And that was after ten minutes, who knows how I’d feel after an hour. 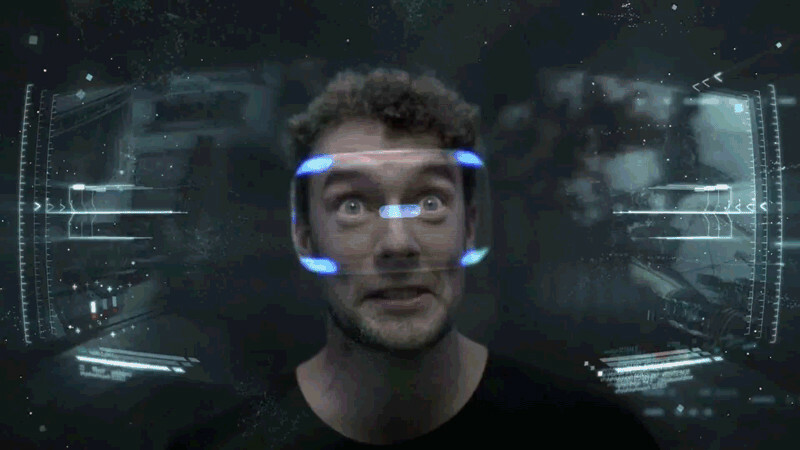 If this guy in the Playstation VR ad is anything to go by, I’d feel RADICAL! 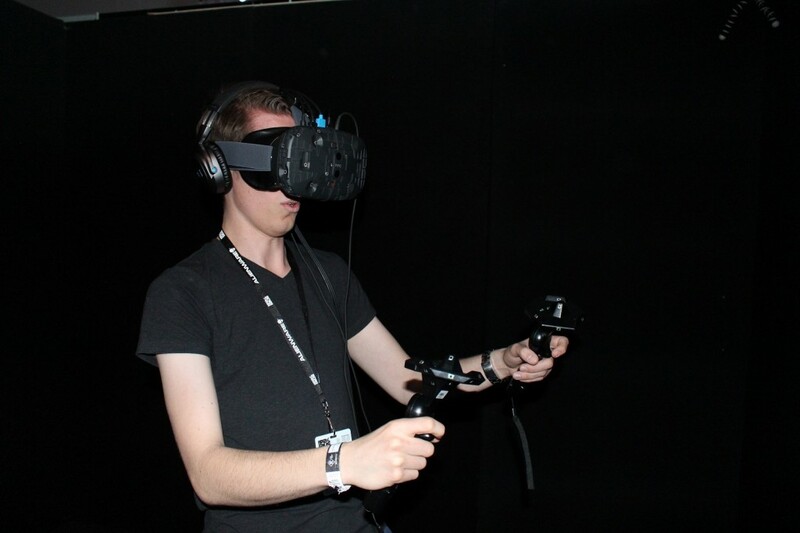 But don’t get me wrong, VR is still an amazing step forward in interactive technology. I stand by what I said about Playstation VR being the highlight of PAX, I just don’t see it or HTC Vive or Oculus Rift being the future of home video gaming. 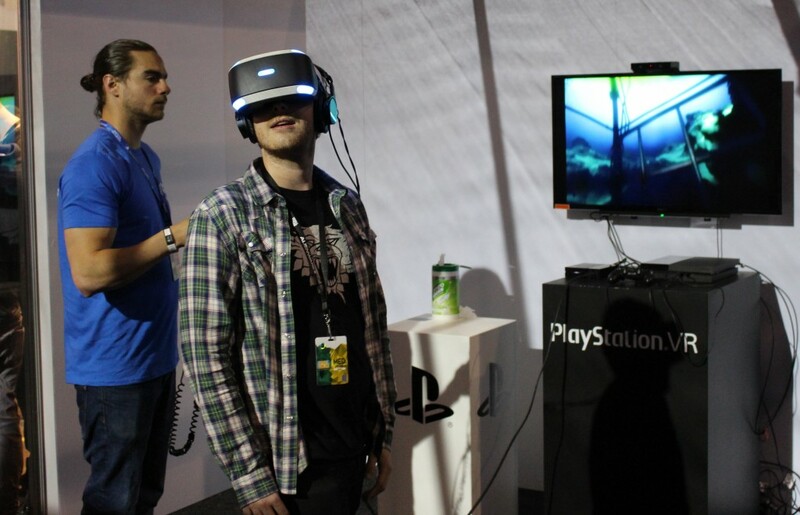 I do, however, see it being an amazing tool to simulate experiences like I saw at PAX or in theme parks and exhibits. What I’m saying is, to quote a certain archaeologist: it belongs in a museum. If you got that reference, Tom thinks you’re cool enough to follow him on Twitter: @tomdheath. Also don’t forget to follow @load_screen and like us on Facebook.